BOSTON — Today, Governor Charlie Baker signed An Act Financing the Production and Preservation of Housing for Low and Moderate Income Residents (H.4536), to ensure long-term support for the Baker-Polito Administration’s comprehensive efforts to increase the production of affordable housing, diversify the state’s housing portfolio, modernize public housing, preserve the affordability of existing housing and invest in new, innovative solutions to address Massachusetts’ rising demand for housing. Today’s legislation authorizes $1.8 billion in new capital spending for the production and preservation of affordable housing for low- to moderate-income households, supportive housing and housing serving vulnerable populations. Additionally, the legislation authorizes $650 million for public housing modernization and redevelopment, as well as $45 million for capital improvements at Early Education and Care facilities. The administration’s first three capital budgets supported the creation or preservation of approximately 7,500 affordable housing units, provided $17.8 million to four public housing developments for comprehensive modernization of housing for seniors and individuals with disabilities and allowed the Department of Housing and Community Development (DHCH) to award $150 million for deferred maintenance projects to more than 45,000 units of extremely low-income state public housing across 234 communities. The bill signing took place in Boston’s Brighton neighborhood at the Harry and Jeanette Weinberg House, operated by Jewish Community Housing for the Elderly. State Low-Income Housing Tax Credit: Extends the state’s ability to commit $20 million per year in tax credits to affordable housing projects until 2025 and authorizes an additional $5 million per year in tax credits specifically to support preservation of existing affordable housing. Current law would cut the size of this tax credit to $10 million on January 1, 2020. Housing Development Incentive Program: Extends the state’s ability to commit $10 million per year in tax credits to market-rate housing projects in Gateway Cities until 2024. Current law would cut the size of this tax credit in half, to $5 million, on January 1, 2019. Accessory Dwelling Unit Construction and Landlord Modifications: Authorizes the use of home modification funding to construct accessory dwelling units for elders and individuals with disabilities and also authorizes up to 10% of the funds to be used to support landlord expenditures to modify units for tenants with disabilities, implementing recommendations of the administration’s Interagency Council on Housing and Homelessness. 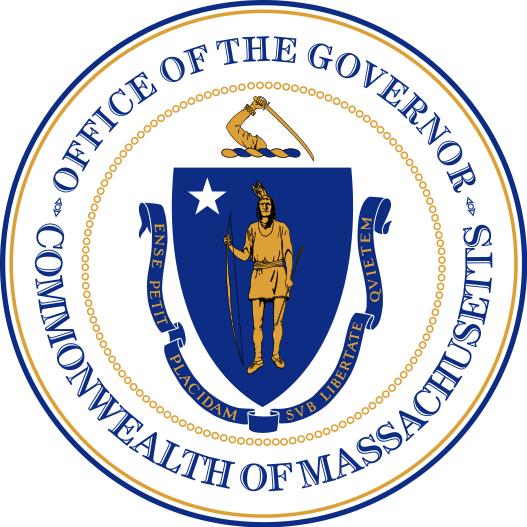 MassHousing Services: Expands MassHousing’s authorizing language, to allow the quasi-public agency to provide contract administration, loan servicing, and other services to other states’ housing finance agencies. Early Education and Out-of-School Time (EEOST) Capital Fund Facilities Improvement Grant Program: Provides funding to non-profit child care programs licensed by the Department of Early Education and Care to renovate, acquire, or construct high-quality child care program facilities that serve low-income families and communities, fostering high quality child care environments that support positive outcomes for children. The Baker-Polito Administration is committed to meeting Massachusetts’ housing challenge through key investments, new initiatives and program reforms. With the addition of the FY19 capital plan, the Administration will have dedicated $884 million to housing from FY16 to FY19, an increase of $100 million over the previous four years’ capital plans. In December 2017, the administration announced the Housing Choice Initiative, a comprehensive proposal to create 135,000 new housing units by 2025. The initiative, which is currently pending before the Legislature, includes a new set of incentives and rewards for municipalities committed to sustainable housing growth in their communities. The Housing Choice Initiative is a multi-pronged effort that includes a program to designate Housing Choice municipalities and new technical assistance opportunities through MassHousing, in addition to proposed legislative changes that will help deliver smart, effective zoning at the local level. Additionally, the highly effective MassWorks Infrastructure Program continues to be a key catalyst for housing production, supporting the creation of more than 3,000 housing units. The Open for Business Initiative will drive the production of more than 2,200 units of housing on state land. MassHousing’s $100 million Workforce Housing Initiative has advanced the development of 2,309 housing units across a range of incomes, including 616 workforce housing units. And, the administration reformed the Housing Development Incentive Program, which is on track to facilitate more than 900 new units in Gateway Cities.